Potato gnocchi are popular throughout the world and all over the Italian peninsula, but particularly in northern Italy. 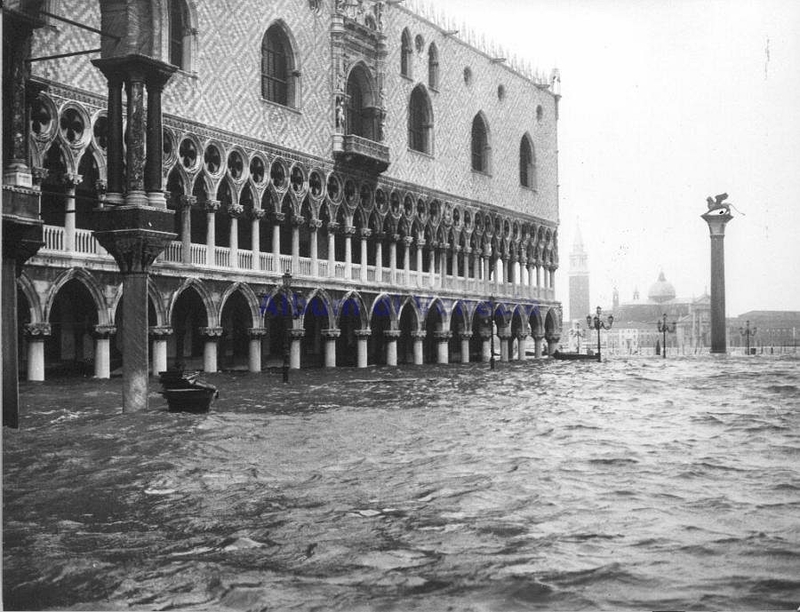 They can be served with melted butter and Parmigiano-Reggiano cheese (with or without sage), melted cheese and milk (gnocchi alla bava), with tomato sauce, in sausage sauce, baked with tomato sauce and mozzarella (gnocchi alla sorrentina) or with juices from a roast beef, dried mushrooms and tomato sauce. 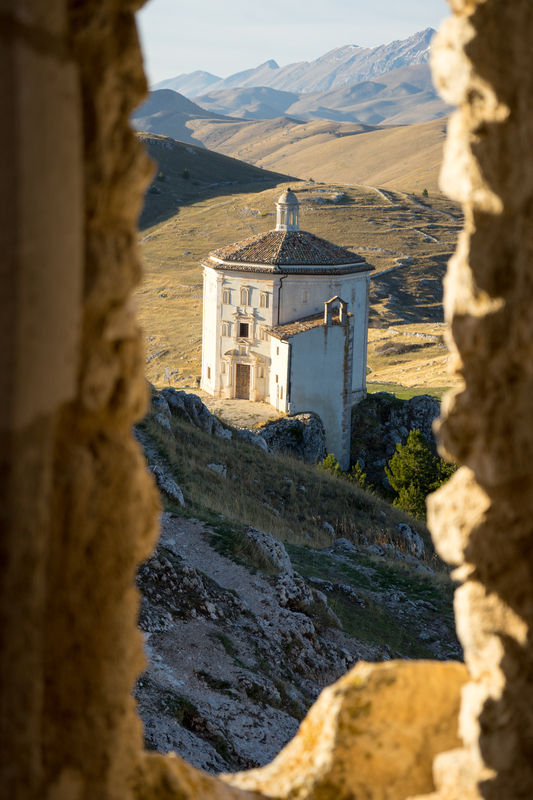 Some variations add some other ingredients to the dough: grated Grana cheese (in Piacenza), nutmeg, melted butter and diced lardo (Trentino Alto-Adige) or even use coarsely grated raw potatoes instead of mashed (Trentino Alto-Adige). 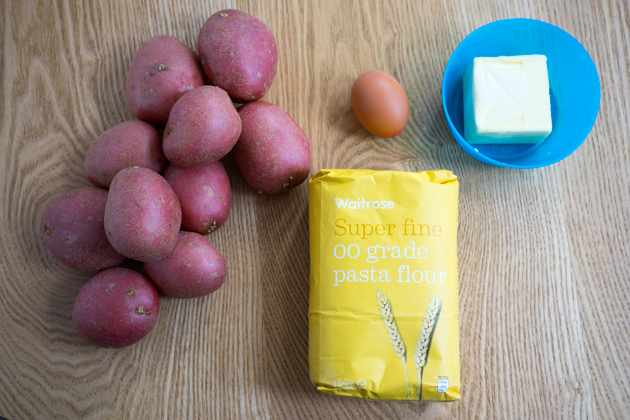 The key to light, fluffy gnocchi is using the right type of smooth potato and keeping the amount of water and flour in the dough as low as possible. 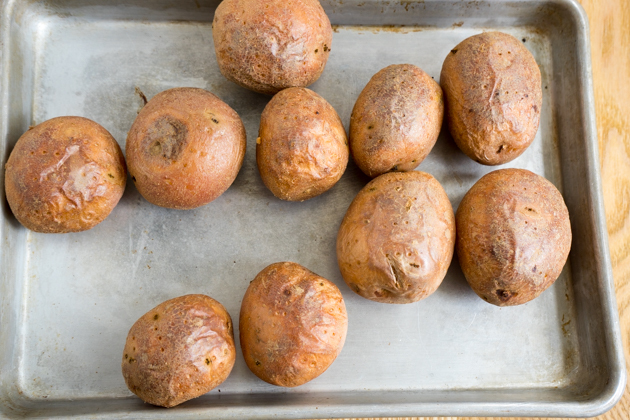 Baking the potatoes removes a lot of moisture but if you have no oven, you can steam them. 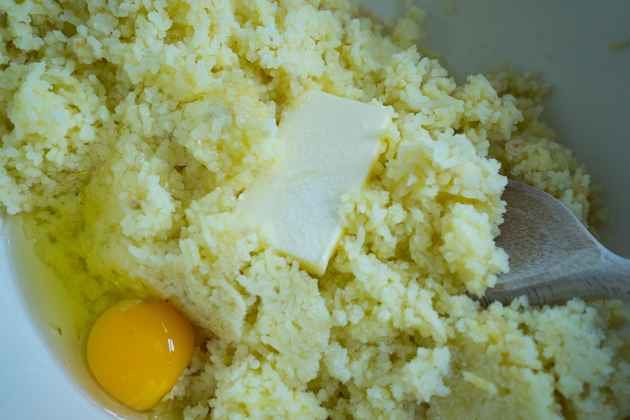 I cheat and use an egg in the dough as my fear of failure after ricing a kilo of potatoes is too great. 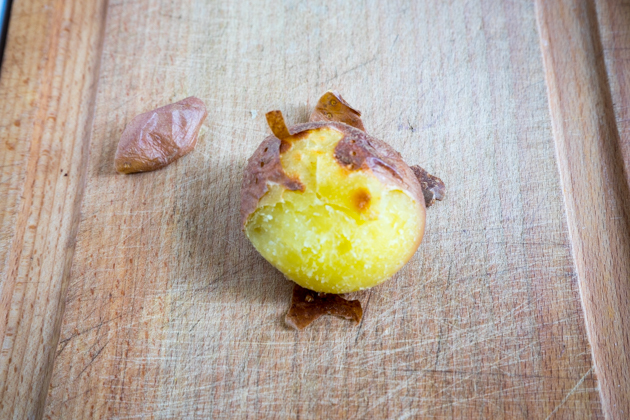 When the potatoes are cool enough to handle, peel the skin and discard. 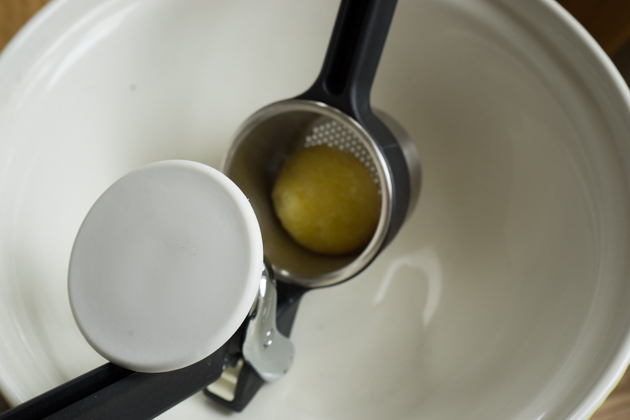 Place each potato into a potato ricer and push through to rice the potatoes. 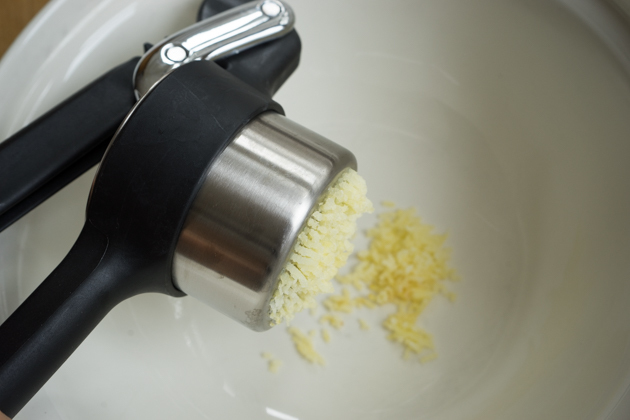 If you don't have a ricer, you can try finely grating or pressing them through a fine sieve. Add the egg, salt and butter to the potatoes and stir to combine. Add the flour to the potatoes. 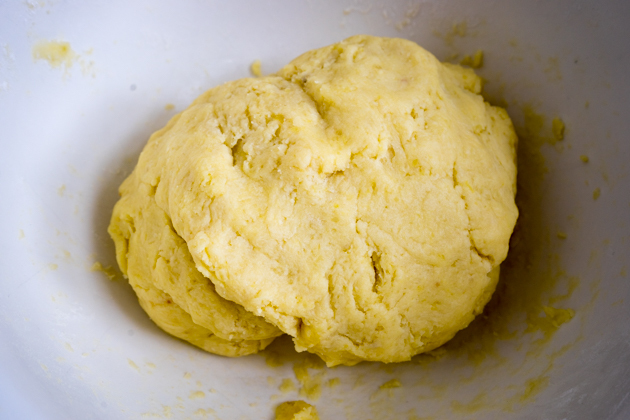 Use your hands to combine and knead the dough a bit. 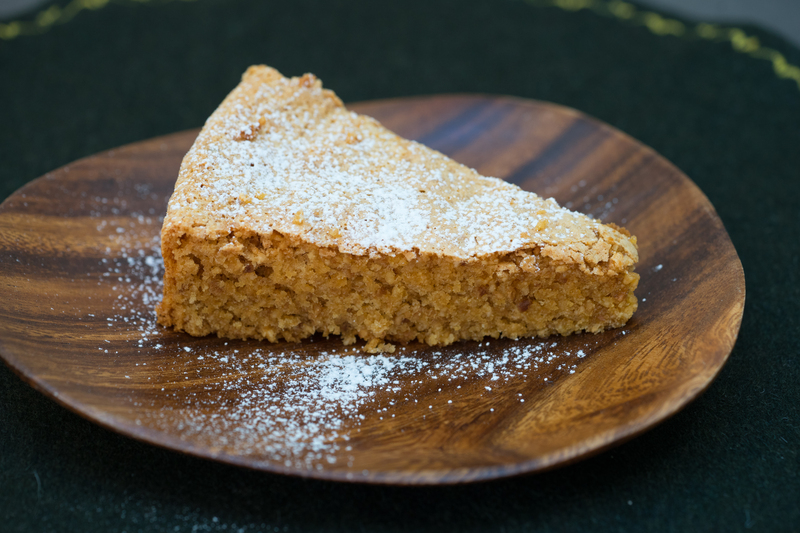 If the dough is too sticky, keep dipping your hands into flour and continue to work. 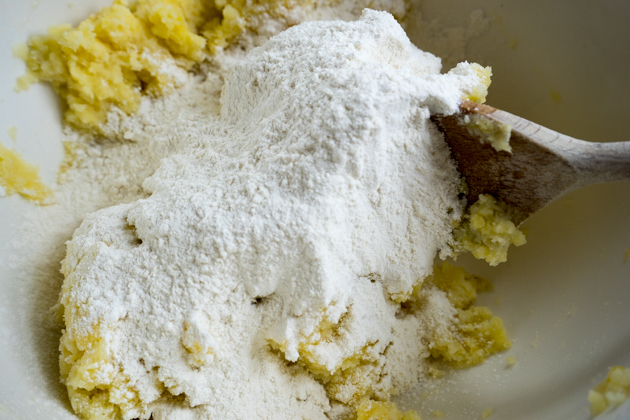 Sprinkle the worktop with flour to keep the dough coming together. The idea is to use as little flour as possible and to work the dough as little as possible but you do need a workable soft dough. 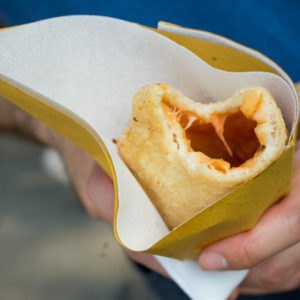 Break off a piece of the dough and form a roll about finger width in diameter. Cut the roll into 1.5 to 2 cm pieces. 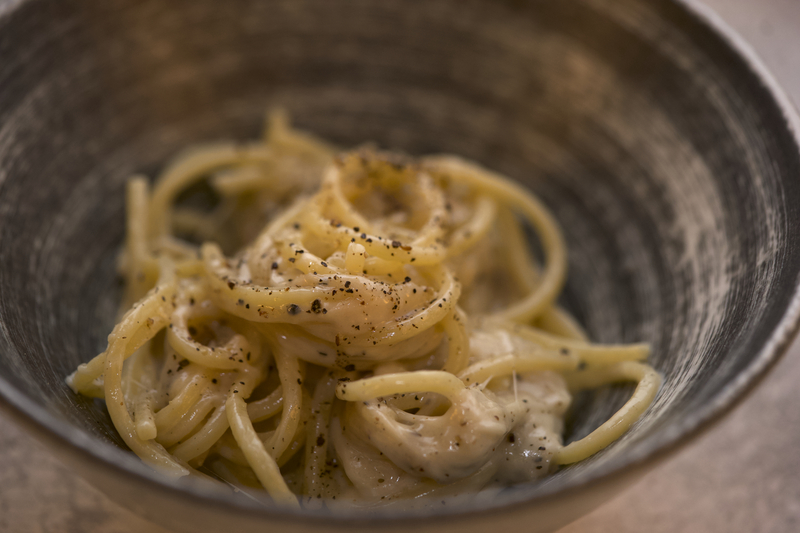 Roll each piece of dough over a grooved wooden board, the tines of a fork, the back of a grater to create some texture that the sauce can cling to. 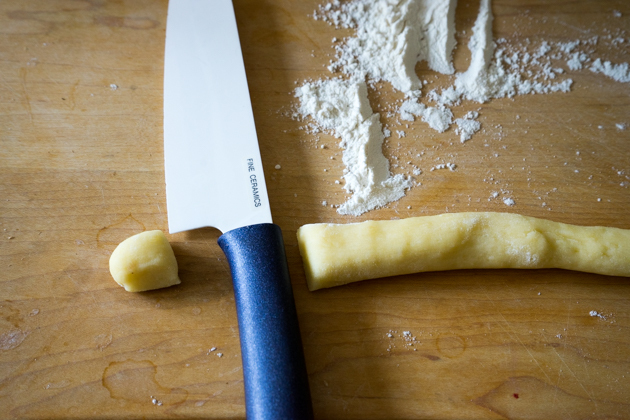 Repeat with the remaining dough, placing the finished gnocchi on a flour dusted baking tray. 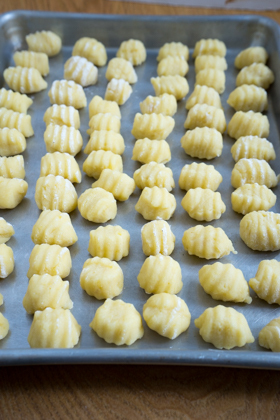 Let the gnocchi rest for 30 minutes while you bring a large pot of salted water to boil. 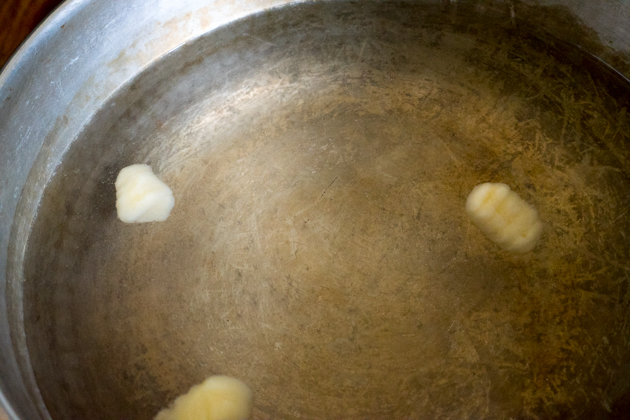 Reduce the heat under the salted water to a simmer and add the gnocchi in batches. 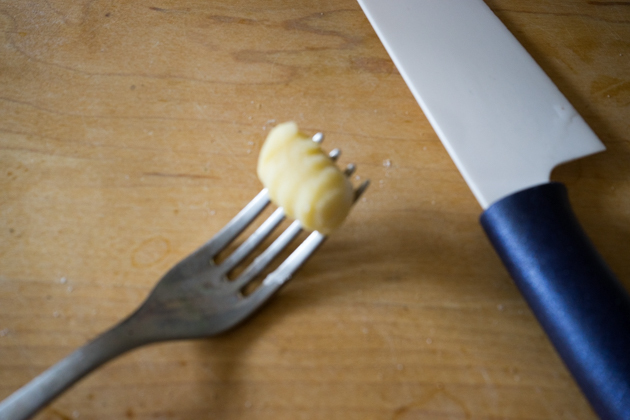 Remove the gnocchi with a slotted spoon when they float (2 to 2.5 minutes). Dress the gnocchi immediately and serve. 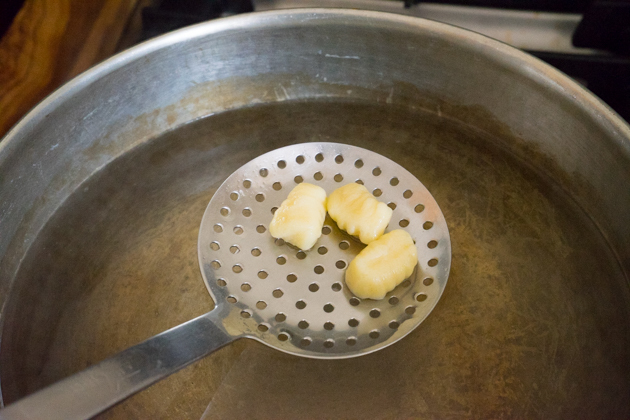 If you plan to make more than you can serve, boil the gnocchi for 30 seconds and then cool in ice water. Place the gnocchi on oiled sheet pans and freeze. When frozen, place in a sealed container.